Its seems like once people know you have worked on cars for decades you are their “go-to” for all car questions—which I love. One of the most common questions I get comes when a person is considering buying a used car for the first time. We constantly hear horror stories and if you’re unfamiliar of what to look for in a quality vehicle you might feel like you’re jumping into this process blind, it can be scary. Here’s an ultimate checklist for the prospective used-car buyer to help you distinguish a great deal vs. a problem waiting to happen. Before you get to the car lot it’s important to establish a budget. Buying a car can be a process in itself and it is easy to waste time looking at cars you can’t afford. Think about need vs. want and be realistic with what you can afford. Don’t strain your personal life by trying to stretch your money thin. A lot of companies offer special options like DriveTime buy here pay here financing options. If you’re looking into financing, avoid long-term loans you should be able to pay off a car loan in three years. Consider fuel and maintenance costs. Look for brands and models known for consistency and reliability. Although luxury vehicles are known for their usability, maintaining one can be expensive. What are you using your car for? Is it mostly used for commute to work? Are you an Outdoorsman who takes vehicles into rugged terrain? Ideally you will find a car that’s well-maintained, 3- to 5-years-old and void of any major mechanical problems or a history of collisions. Typically you do not want to exceed 12 to 15 years when purchasing a used automobile. Low mileage is important, but a car cannot be judged on low-mileage alone, be sure to obtain the car history when comparing vehicles. A cars interior condition usually says a lot about the previous life it lived. Rust anywhere on a vehicle is a bad. Looking for the cheapest car does not translate to being the best deal, you’re looking for the best mechanical condition for the most reasonable price. Try to avoid first-year models, as they usually have more glitches. Go online and see what people are saying about models you’re interested in. Insurance cost will vary significantly depending on the vehicle history, make, model, year etc. Get an insurance quote before you purchase a car. Going to a dealership prepared is going to make a huge difference in the way you feel at the lot, and the outcome of your buy. A dealer’s goal is to make a sale as high as possible. First check and make sure the vehicle your interested in is still available. A lot of times dealers will keep a car that’s already sold online to get people into their lot. Confirm the price, color and mileage an make sure the car has all the basics: air conditioner, radio, automatic vs. manual, cruise control, working windows ABS etc. Make sure all of these work when you get there. Take the car for a test drive, see how the breaks work, if the AC is cold, if you hear and odd sounds or feel any noticeable bumps in the ride. A car may smoke when it’s cold or the engine may be noisy or the transmission may engage with a delay. Ask about extra charges and fees and ask about what kind of warranty they have available. 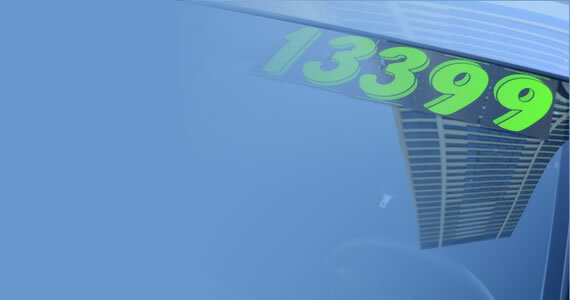 Ask for the vehicle history and VIN number to check accidents or major repairs for yourself. The price is almost always negotiable; make an offer on the total price to let them know you are a real buyer. Total price is important because often dealers will try to tack on extra fees after you’ve negotiated a price. Be ready to walk away from a deal if you are feeling you’re feeling to pressured.